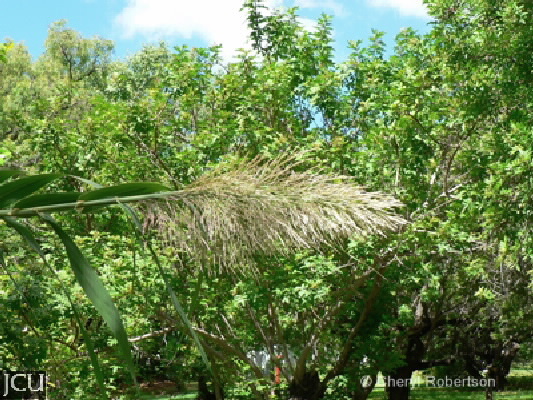 This tall grass to 6 m tall is sometimes referred to as ‘bamboo’. A native of southern Europe and Asia, it is becoming a weed in some areas. Grows from suckers on the rhizome, leaves are in 2 rows along the length of the stem and the inflorescence is a fluffy dense panicle to 60 cm long.